We are actively looking to buy any and all Ford models. Cars, trucks, vans or SUVs, we want to buy them all! When the time comes for you to sell your used car, We Buy Any Car guarantees to buy any Ford regardless of its age, mileage or condition. When you deal with us, you will have a fast, stress free experience selling your Ford. We will give you a fair price for your Ford, no matter what condition it is in. To get started, simply enter the details of your Ford car, van, SUV or pickup truck into our online quote generator and learn your Ford’s value instantly. If you like our price, bring your Ford into any of our convenient locations and once the details you entered online have been verified, you could walk out with a check in your pocket in under 30 minutes. We make it as simple as that. It is safe to say that no company exemplifies the American automobile industry better than the Ford Motor Company. Founded by Henry Ford in 1903, the company is headquartered in the Dearborn suburb of Detroit, Michigan. As of 2010, Ford was the fifth-largest car manufacturer in the world, and the second-largest in the United States. Ford manufactures in the vicinity of five million cars annually. Ford also owns, and manufactures cars under, the Lincoln brand name. 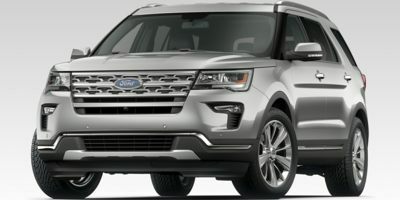 Ford manufactures a full range of cars, vans, SUVs and pickup trucks for the consumer market.